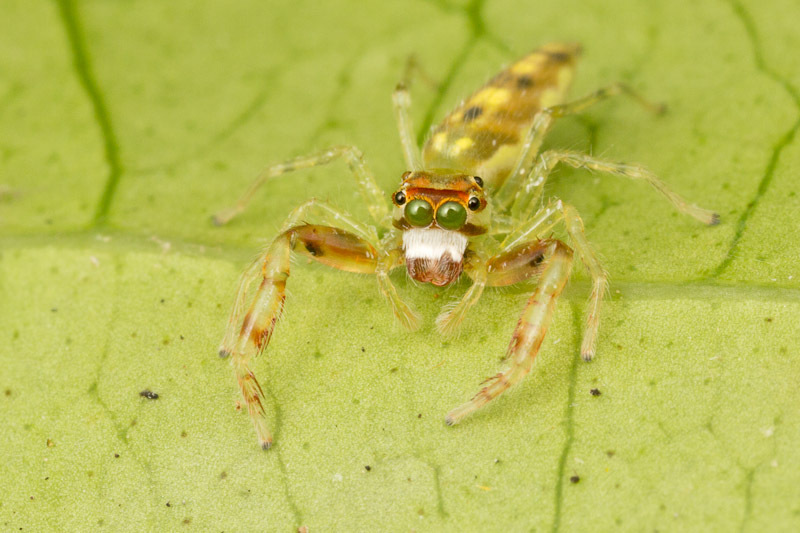 This little salticid has captured a small fly of some sort. 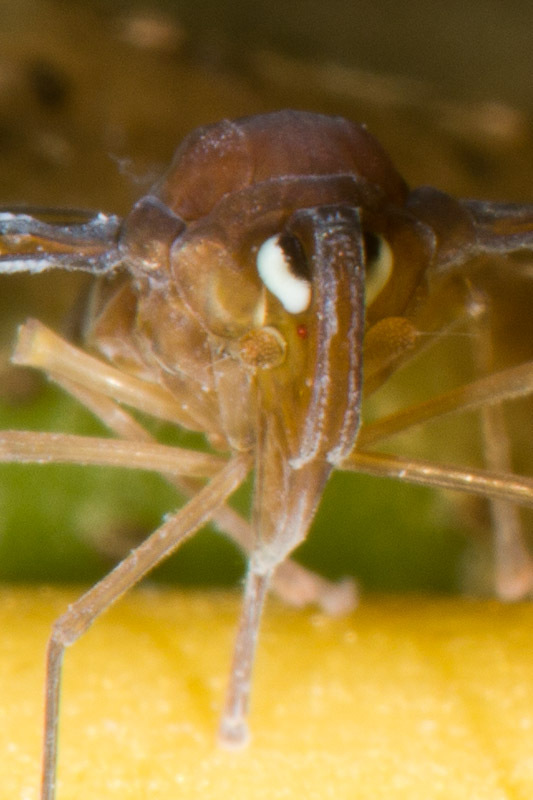 White scales on the chelicerae almost look like a mustache. 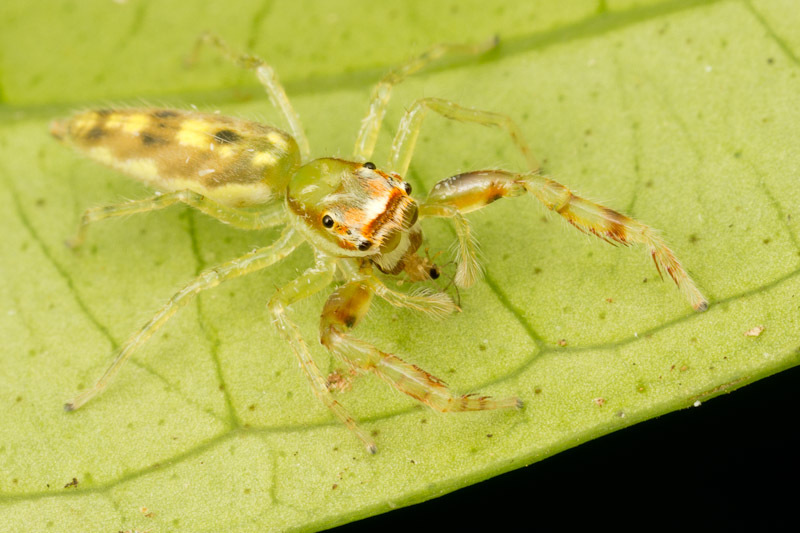 Here’s another micropezid, waving its front legs like they are apt to do. 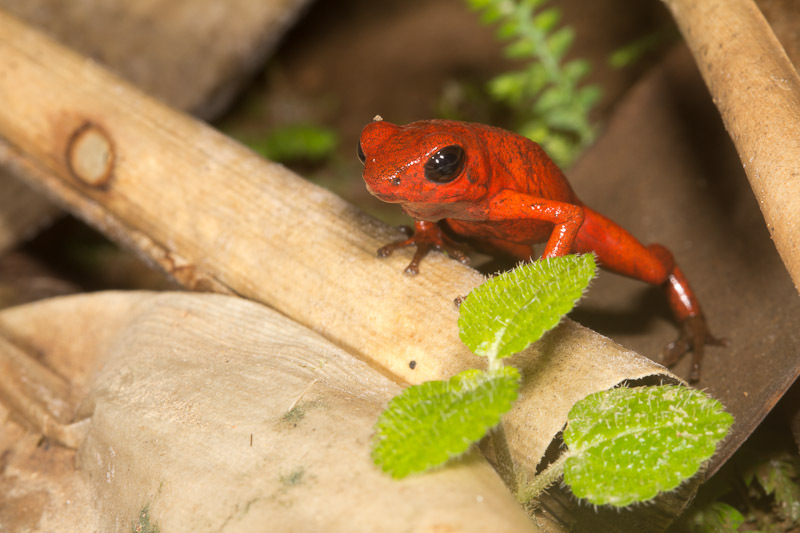 The botanical garden is home to many of these colorful little strawberry poison dart frogs, Oophaga pumilio. Unfortunately, they seem to prefer hanging about in the plastic planters. Above, you can see some of the little fertilizer beads. Below, one was just inside the container. Inside a plastic plant containerI would have been preferred a more natural setting. Although they were easy to spot amongst the plantings, I would have preferred a more natural setting. 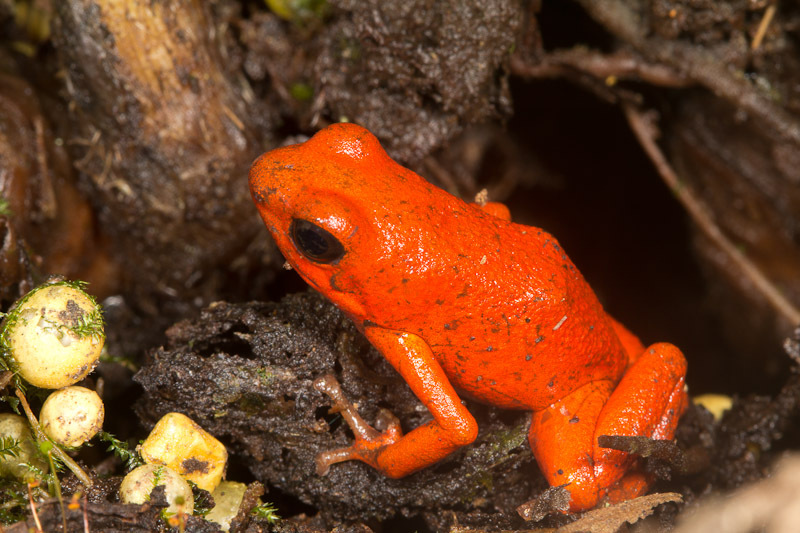 As you might expect, the bright coloration is a warning to not touch these little frogs. 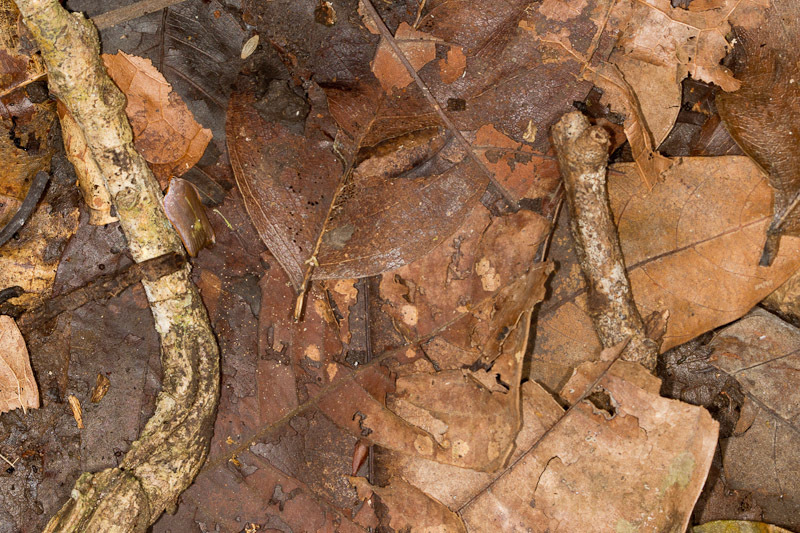 Can you spot the critter hiding in plain sight in this photo? Just a general common name is all I’m looking for. I’ll moderate comments until I reveal the answer in a few days. I’m waiting for the day when I post one of these and someone points out something else in the photo that I hadn’t even noticed. 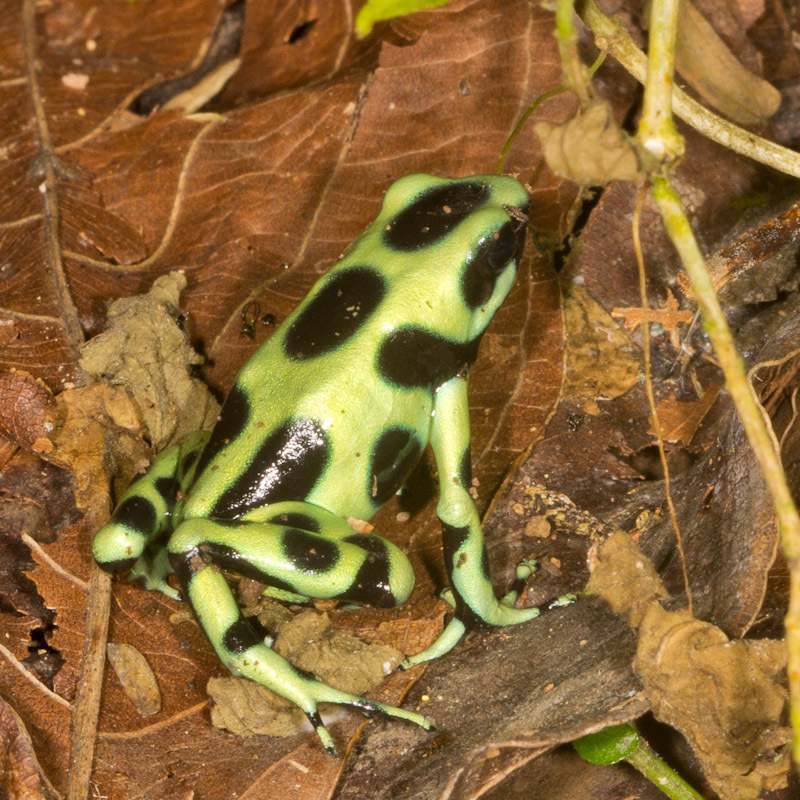 I spotted another of these relatively large frogs, Dendrobates auratus, in the botanical gardens. 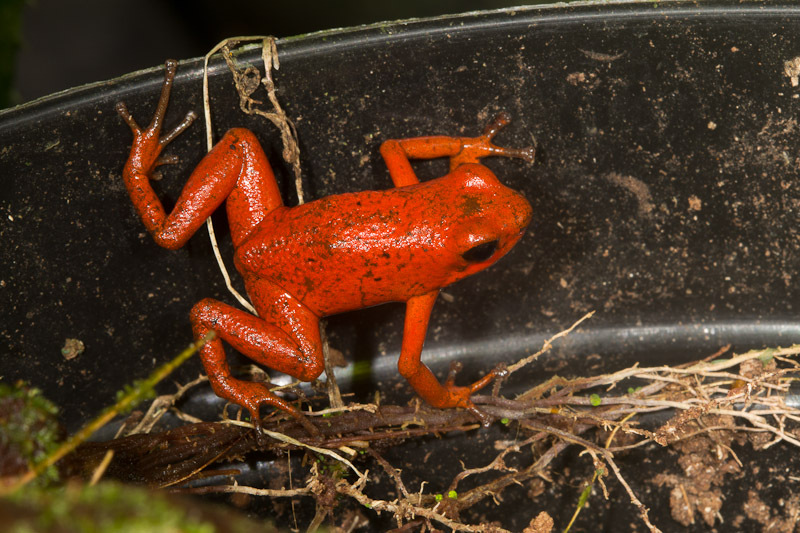 Unlike the one I spotted a few days before, this one wasn’t carrying a tadpole. 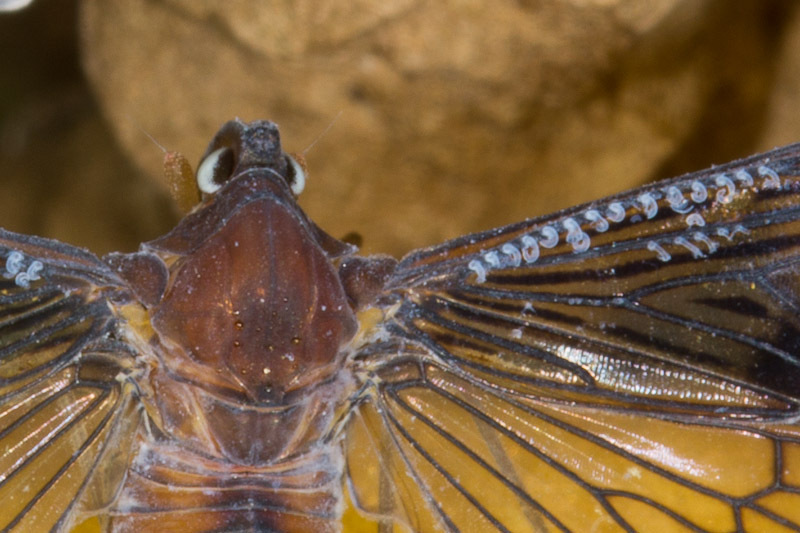 Only one reader commented on the latest identification challenge. 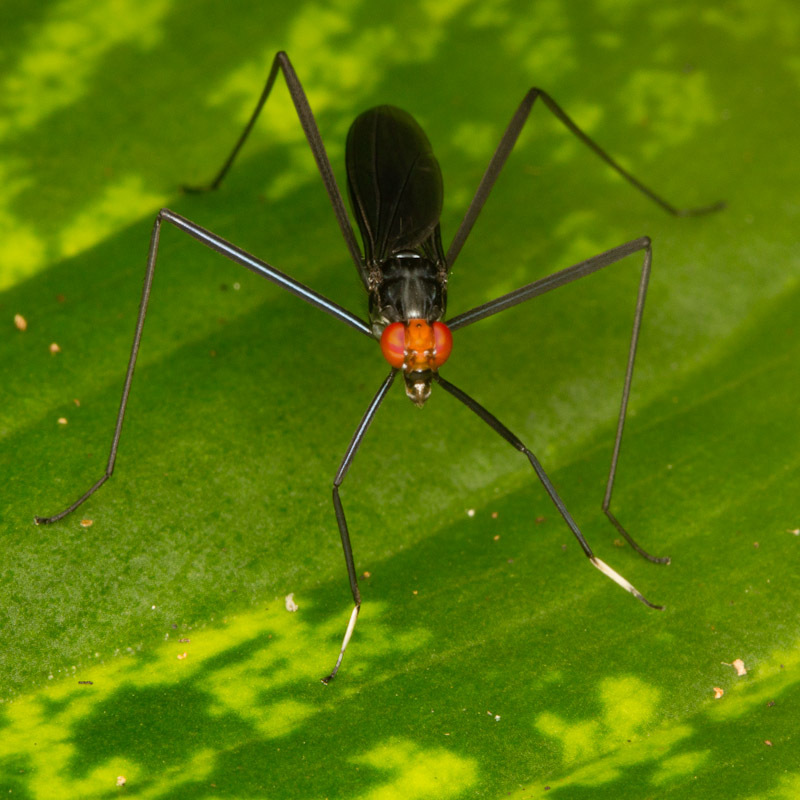 Bryan Reynolds found it easy to identify this as a thread-legged bug in the subfamily Emesinae (family Reduviidae). Be sure to check out Bryan’s new non-profit, The Butterflies of the World Foundation. 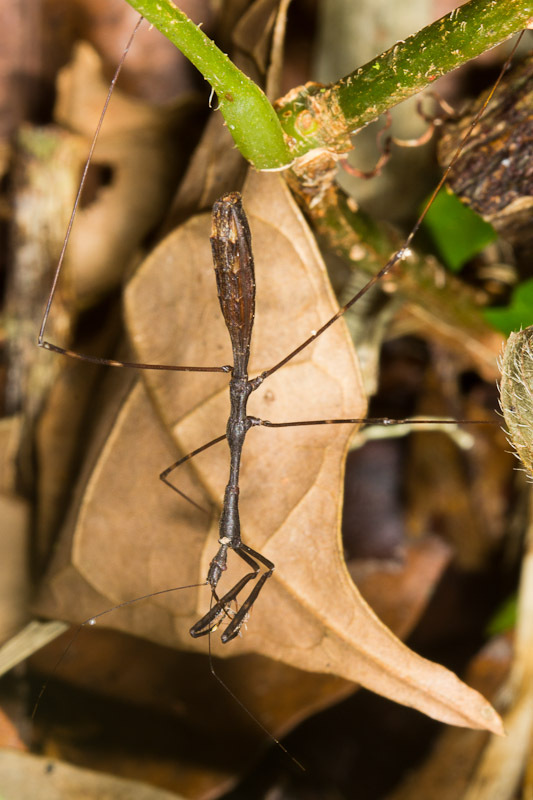 This thread-legged bug was spotted in some leaf litter, finishing off some sort of nondescript prey. 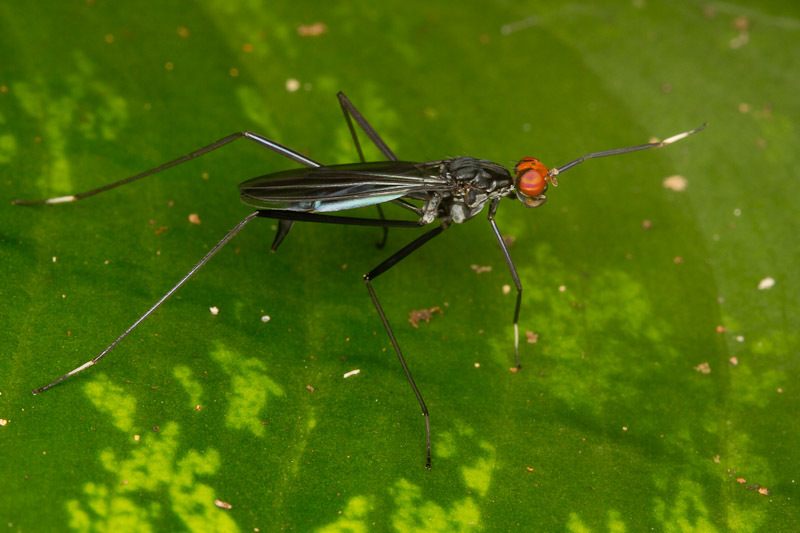 This one looks a lot like the one I found ovipositing. 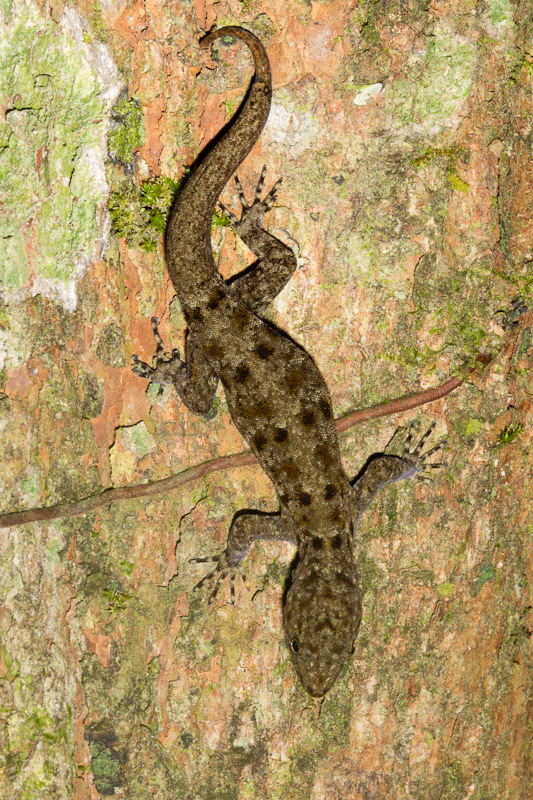 Compared to the male, this female Gonatodes albigularis is quite drab. She looks as if she has suffered some unfortunate incident. Not only does she appear to be regrowing the tip of her tail, but one of her hind feet seems a bit mangled. 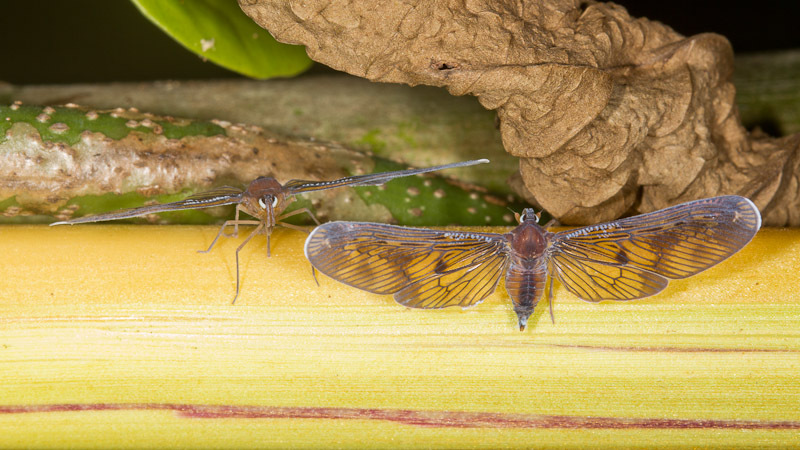 These planthoppers in the family Derbidae are feeding on the yellow stem. You can clearly see the left one’s beak (rostrum) inserted in the stem. Next time I’ll have to try and get a good profile shot. They really are odd looking. Also odd are those Velcro like hooks along the leading edge of the wing. What purpose might these hooks server? 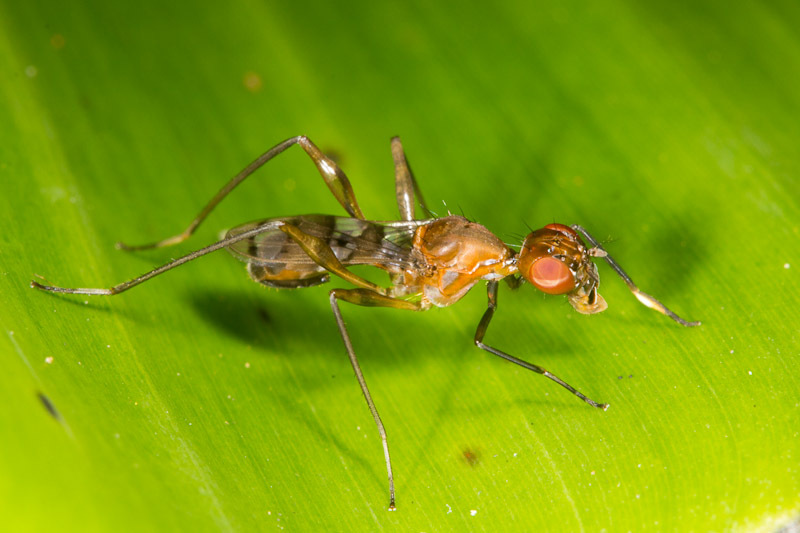 Can you identify this critter as far as subfamily?